If you recently purchased a new computer or laptop, this tutorial will show you how to copy the installed applications, files and settings from the old computer to the new one. First, here's some background information about how Windows handles installed software programs - which will explain why you can't just copy the software folder and save it to a flash drive. Windows writes certain "keys" to your computer's registry when you install a program, and makes associations with other modules and/or installed programs. This makes it impossible to manually transfer these settings to another computer. You'll need a software solution to ensure all of the proper files and settings are transferred. There's a software program called Zinstall that transfers all of your programs, settings and files and does not require cables. Zinstall transfers all of your programs, documents, music, pictures, favorites, emails, accounts, settings - and of course all of your files. Your new computer will feel just like the old one. Your old computer remains safe and unchanged, and nothing is erased from it. The nice things about Zinstall is that you don't have to be a computer guru and you don't need any cables. The product is completely automatic and intuitive to use (video below) and if you can connect both computers to the Internet, then you are all set - nothing else is needed. That means you won't have to wait for the software to be shipped to your location. Just download it, and start transferring. "Zinstall WinWin: The product will transfer everything - programs, settings and files - to your new PC. No cables needed." Zinstall works with Windows 10, Windows 8/8.1, Windows 7, XP and Vista, any edition, 32- and 64-bit. You can transfer from any Windows to any Windows, any PC model to any PC model. XP or Vista to Windows 10, 7 to 10 or even Windows 10 to Windows 10 are all supported. Ready to transfer your programs and files to your new computer? Another way to transfer programs to another hard drive or system is by using disk imaging software that creates an exact image (copy) of your hard drive. You can then copy that image to another hard drive, another partition, or another computer system. For example, Acronis True Image will create an exact image of your hard drive, including all software programs, email messages - even the operating system itself. You can then take this disk image and copy it to another hard drive or system. 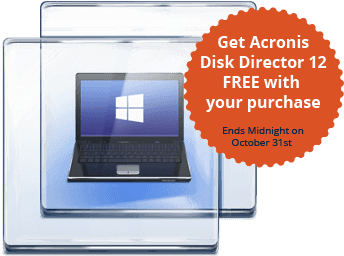 Acronis comes with a couple of other benefits including 5 GB of free cloud storage (which you can upgrade to 250 gigs) and a free copy of Disk Director - a powerful program that optimizes your hard drive and manages your hard drive partitions. With either the migration utility or the disk imaging programs, you'll save a lot of time and money by not having to buy new licenses for software that you already own! Ricky, my old dell is close to death and I need to transfer my files to a yet tbd new computer. Is there a specific external hard drive you recommend? And how can I avoid transferring over any viruses to the new computer? Are there any mid-priced laptops you are recommending? Lastly, visiting Portland for business. What part of town would you recommend staying in? recovering deleted files. It plugs into the usb port on your computer and there's no software to install. I spent about $50 on it for 320 GB, but that was several months ago and I'm sure you can get much more space for about the same price. For Portland, check out Andina in the Pearl District. It's Peruvian cuisine, and I've absolutely loved every meal I've had there. Another favorite of mine and my wife's is Serrato (which beats Andina's slightly), located on NW 23rd - a must visit strip with upscale shops and restaurants in one of the most desirable areas of Portland. Here's a list of popular restaurants in that area as well. The seared ahi in amazing at Serrato, as is the Tenderloin of Strawberry Mountain Beef (I ordered it 3 times in a row on 3 separate visits there because it was so delicious). I just recently got a new desktop for graduation. I'm going to college now and of course the computer came with really, nothing at all. I have programs and such on my old laptop. Everywhere I go I am told that "NO you can not transfer programs" but yet I see things here that say you can. I need my programs on my desktop. I have my microsoft word disk but not the registration number. I don't know what happened to my adobe disk so I'm sorta at a loss. What do I do? Is there a way you can transfer programs or is everything I've seen so far thats told me "Yes you can" just a buncha you know what? You can indeed transfer programs from one computer to another using either Laplink or SystemSuite7 from Avanquest (they removed the transfer feature in SystemSuite8 for some reason, so be sure to get the older version linked above instead). It won't give you your registration code for Word, although you can find utilities on the web that will give you that info. The main difference between the two programs are that SystemSuite7 builds you an installation program for each software application you choose, and then you can copy that installation program to your new computer and install the application there. Laplink on the other hand connects both computers with a special USB cable, and transfers programs over directly. I read on your site that SystemSuite has a built in transfer function and that you moved some programs like Office to another comnputer. Does this install with the program installation and where do I find it in the program? Or is it one of the add-on programs included on the CD? I have this program but it is not currently installed on a computer but I am needing to transfer some programs from an older computer. Any help you can give me would be greatly appreciated! Thanks! Hello, I tried to copy my 60GB hard drive from my old laptop to my 160GB hard drive on my new laptop using Norton Ghost v14.0.PCMOVER and System Suite7 need Windows to be installed first. It is Windows XP SP-2.I uninstalled all additional drivers.The copy works perfect on the old laptop,but not on the new one.On the first "Windows" screen,where the three squares are moving,blue screen blinks and restarts the laptop from the begining.Over and over again.I started it in "Safe" mode-works.All prodrams and files are there.I even tried it on third laptop-same thing. I recently re-installed XP onto a fresh hard drive and now wish to copy many of my applications over to the new drive. It was with great interest I read your article and concluded that SystemSuite 7 was the perfect software need to do this job. I contacted Avanquest Software and discovered that version 7 is no longer being sold and they no longer sell any software which offers the transfer abilities that were found in version 7. Can you suggest another software package that does?? Looks like they did indeed stop selling this product, and so I removed it from the article above to avoid misleading anyone. Laplink is another program that will let you transfer programs, which is the other program I described in the article above (with a video as well that you can watch to see how it works). Macs handle software installation quite differently than Windows systems, and to be honest I'm not sure how it works to transfer programs on a Mac. Any Mac experts out there have a suggestion? wondering if you can help me. my old hard drive in my Vaio laptop has died and I can no longer boot from that drive. i've had to replace the hard drive in my vaio laptop. I understand that it's fairly easy to transfer files over from the old hard drive, but can i still transfer software programs between the 2 hard drives even though i'm not able to boot from the old drive? or are all the programs now lost? I purchased and with the help of a friend assembled a new custom system. I installed a new 250gb hard drive as well as the old 80gb hard drive out of my old system. I have the new drive set as the master and the old one as the slave drive. I installed Windows XP on the new drive but the old drive also has Windows XP. I have Microsoft Office on the old drive but would like to transfer it to the new drive. How do I do this without the use of an external hard drive? Office has a ton of dependent dll files and registry settings, so it would be impossible to manually move it over file by file. PCmover described above can do this automatically, and will let you choose the programs that you want to migrate from your old drive to your new drive (and it's a lot cheaper itself than having to buy Office all over again). This article is very misleading. I was led to believe that PCMover would relocate an installed application (data and application settings) to a second hard drive. I have 2 hard drives in my computer and I am running out of space on one of them. Now I just spent money on some POS software that I have no use for. I'm in the same postion that i have a hard drive that I can't access anymore, but is still able to be explored. I have pulled over all the files that are important, but would like to not have to re-install all the programs again. I too bought PC Mover, only to realize that it must be installed on BOTH computers to work. Is there something that can pull the programs off the un-bootable drive? You may conceder to use WETC (windows easy transfer companion ) and PickMeApp. * PickMeApp may transfer programs and settings to and from XP and Vista (xp2xp,xp2vist, etc). They claim to support unlimited number of programs. PickMeApp may solve transferring programs from one HDD to another on the same PC. I have an old powerspec desktop with a lot of older software programs i use for work but it is slow slow. I have just purchased a new powerspec with sme operating system. Can I copy, move, image programs and files from the old powerspec to the new one if I do not have all of my original cd or softWARE KEYS? Hi Ricky, ive been searching the web for a way to transfer my old laptop hard drive to a new hard drive. I don't have two laptops so that whole Laplink thing is pretty useless to me, but i do have a external Hard drive and am wondering how and more importantly if i could transfer my current laptops hard drive to the external HD and then load them all to my new hard drive once i have replaced the old one in the laptop and still have the programs work on the new one as if it was there all along. Ive read some of your responses and you seem to be quite knowledgeable. I WANT TO TRANSFER SOME THINGS FROM MY OLD COMPUTER TO MY NEW ONE. WHY can't I just use a Flash memory unit or a USB to USB cable? Secondly, you recommended PC Mover to do this. I've looked at their site and I didn't see anything about preventing Viruses or Spyware, etc. from being transferred. Do you know if it does this? A non-geek that really appreciates your humanitarianism. I have a 20GB c disk and an 80GB slave disk. I have 2.64GB of free space on my c disk and 74.5GB of free space on my slave disk. Laplink Technical Support informed me that they know of no software program that will facilitate transfer of files and folders from c disk to slave disk. Do you? Ricky, I have a laptop that I need to wipe and reinstall windows to. The problem is there are two peices of software that I will not be able to re-install after I do this as I no longer have the install cd's available (they got malled by my two year old). Is there anyway I can transfer the programs over to an external drive, wipe the laptop, and then be able to get them back onto the laptop in working order? If I transfer a program such as Office (or some of its sections) from one of my computers to another, does the transfer process COPY or MOVE the program, that is, does it remain on the sending machine or does it disappear? I will be transferring operations to the newer machine but there'll be a time of transition during which I'll need to have both machines running. I have a program running on a Windows 3.11 on a 386 pc. How can i move the program to run on newer pc with no installation disks? Possible? How to move a old program running on Windows 3.1 - 386 computer to a new computer without any installation disks? I have a laptop, running xp pro, and am looking into getting a new desktop, which will probably run windows 7, when it hits the market next month. I want to do exactly what you are describing here, transferring programs from one computer to another. And I dont have the original program cd's nor do I have the activation keys to "re-activate" them once they are "copied" to the new computer. I am interested in transferring programs like Solidworks, Rhinoceros, and a few other non traditional pc programs. Do you think laplink will work for me? And if I attempt to transfer the programs to my new pc, will the programs be deleted from my old pc? Solidworks and other 3D modeling programs, Rhinoceros are tools I use to make a living and I cant afford to lose the ability to use them. Hence my questions about the security of the transfer. Will I need to rename my new pc the same name and have the same administrator settings as the old computer I am transferring from? I look forward to your response and thanks for writing this post. Hi JCS, and apologies for the extremely late reply to your question. You've probably found a solution by now, but I'll mention that the Laplink PCMover program should work in this case. You'll need to install it on both computers, and then connect the two computers with the cable they provide. Once both computers are connected, then you can transfer installed programs from your old computer to your new computer, just like in the video demo above. I have an old computer that has no usb slots or a cd/dvd burner. only a floppy drive and cd drive that only reads. How do I get my files and programs off that Old computer that will not download to a floppy disk? The best thing to do (and only thing I can think of) would be to remove the hard drive and connect it to your new computer. You can either connect it directly to your motherboard using the same IDE cable that was connecting it to your old computer, or you can use an IDE-USB cable to connect it just like an external hard drive. Ricky, I have a laptop that I need to wipe and reinstall windows to. The problem is I have one software program that I will not be able to re-install after I do this as I no longer have the install cd available. Is there anyway I can transfer the programs over to an external drive, wipe the laptop, and then be able to get them back onto the laptop in working order? This is really a basic question, but does Lap Link transfer all of the small stuff like addresses (address books), bookmarks, and things like that ? If they do not, I would wonder why not. Too many times, I have been held up for "not asking the question." Hello Ricky, I am buying a new computer that has Windows 7 on it. Will Laplink allow me to transfer most of my programs from my windows XP based computer to my new Windows & computer? What cable and software to I need to use? I want to make a duplicate of my laptop. Will Laplink PC Mover Program allow duplication of the programs. In other words can I copy the files from one laptop to another leaving the files and programs on each laptop. I ask this in order to have a backup of my laptops. Like others, I've been told that it's almost impossible to move programs over to a new PC or a PC with a new hard drive and recent clean install of XP, Vista or 7. I help out at my family's computer store and apparently they never had success moving programs, therefore they tell everyone "it can't be done". So, what I've read so far--sounds like it IS possible. What I would like to know is this: can it be done with a PC that is corrupt and won't boot into windows or a virus infected PC that barely runs? We usually pull the hard drive out and are able to read the data off it when hooked up to a working PC and a data transfer cable (this is how we save their data). Can I copy an OS like Windows 7 from my old computer to another using PC mover? Hi there, seems to be outdated a bit. Laplink can also move to Windows 7 now. There is also the pro alternative - Zinstall - who can transfer to Windows 8 and Windows 7 (www.zinstall.com). They get nice reviews it seems. Maybe add all that to the page? About migrating files, programs, PCMover, Zinstall and PCTrans works well. PCTrans(www.easeus.com) can free transfer all data and couple applications, WET can transfer data, setting. Can Microsoft Office Home & Student 2010 be moved from my old computer to my new computer with Laplink PC Mover Professional 8?